If you and your group are looking for an adventure, check out Eagles Nest Sightseeing, from a birds eye view, at the Eagles Nest Augusta County Airport in nearby Waynesboro. There’s no better way to see the Shenandoah Valley’s foliage and mountain scenery than from the air! Sightseeing flights of the valley are offered at just $70/one-half hour for up to 3 people. For this great price, you’ll be treated to a tour of the verdant countryside areas of Lyndhurst, Sherando Lake, and other locales nearby to Waynesboro, VA. It’s important to not confuse this airport with the Shenandoah Valley Regional Airport in nearby Weyers Cave. The airport is located at 38d04m37SN latitude ; 78d56m40SW longitude, 1437 elevation. 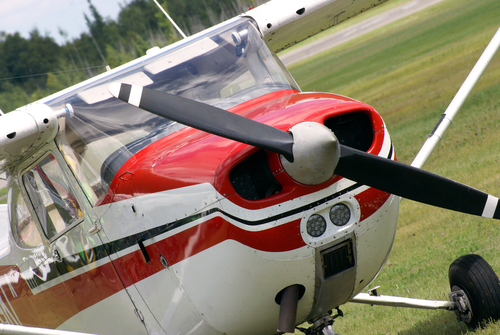 If you are interested in sightseeing flights, call the airport at, 540 943-4447. Are you looking to pop the BIG question soon? Guys/fellas – think about this for the proposal! This will make her heart stop! Imagine asking your sweetheart to marry you high up in the air! Our Virginia mountain cabin rentals are perfect for couples that are looking to stay in the area and enjoy some sightseeing. The majority of our cabins are large enough if you wish to stay in separate sleeping quarters. They are wonderful for groups of friends and couples as well. The Eagles Nest Airport also features aerial photography packages as well if you are looking to get some snapshots of the area.